We began our season with a complete performance of Smetana’s “Ma Vlast” (My Country), to commemorate the 100th anniversary of the founding of Czechoslovakia in October 1918. Other highlights of the season include Stravinsky’s ballet “Petrushka”, Richard Strauss’s celebration of “A Hero’s Life” (with himself as the hero), and Dvorak’s eternally popular New World Symphony. Along the way we have a musical murder mystery by Lemony Snicket and Jonathan Stookey (“The Composer is Dead”) at the Ealing Film and Music Festival 2019, and a range of concerto soloists – violin, piano, flute and clarinet, and we finish with a summer chamber orchestra concert in St Anne’s Kew. A concert particularly to look forward to is our performance of the Verdi Requiem with the Diversity Choir, in March 2019. 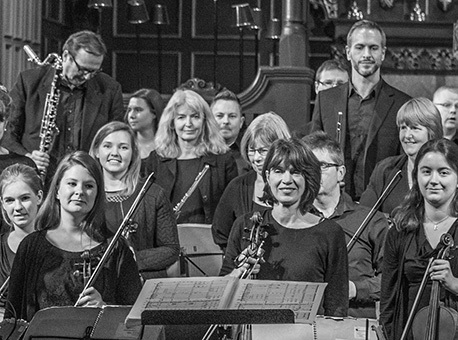 West London Sinfonia is an amateur orchestra with ambition and passion. Our players, many of whom work in music or music education, come from all over London. Most of our players have non-music day jobs, but for all of us, making music is an important part of our lives. 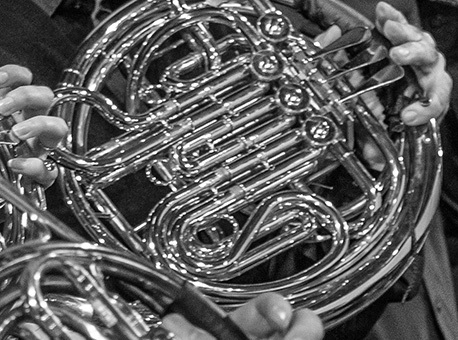 We perform a wide programme of music with a concentration on larger orchestral works from the 19th (especially late 19th) and early 20th centuries. We regularly perform with world class soloists, and we are fortunate to have Philip Hesketh as our musical director and Iwona Boesche as our leader. If you’re looking to join a friendly and ambitious orchestra, we are always on the look-out for string players (especially in the violin and viola sections). We presently have a vacancy for bass trombone. If you’d like to enquire just complete the form on our contact page, and Lydia our membership secretary will contact you immediately. To enjoy a great evening of high quality classical music, please look through our season programme. You can buy tickets for any of our concerts online. Join our mailing list if you would like to receive information about future concerts. We look forward to welcoming you soon. Tickets available online here. How is it that non-professional orchestras sound so good? In the spacious St Michael’s Church the West London Sinfonia and Philip Hesketh (its director for two-and-a-half decades) provided an evening of music performed with great skill and remarkable accuracy, the players responding fully to the conductor’s expressive phrasing. 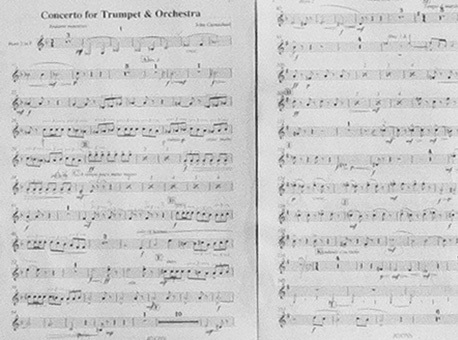 The feature was John Carmichael's Trumpet Concerto (1972). Barry Yardley is clearly very familiar with the work and he encompassed impressively its numerous facets. The final Act of Tchaikovsky's Swan Lake was performed with panache. Detail was admirable and, as throughout the concert, harpist Sophy Cartledge was superb. Special mention must also be made of the percussion section which had demanding passages in all three works and was precise, exciting and ideally forceful. Hesketh and his musicians were clearly at one and he built a tremendous climax in the Tchaikovsky, the point at which the famous theme which permeates the score blazes out in a major key is one of the great moments and it was all the more remarkable on this occasion as the huge volume of sound, ideally balanced, reached its peak, enhanced by the resonant acoustic. 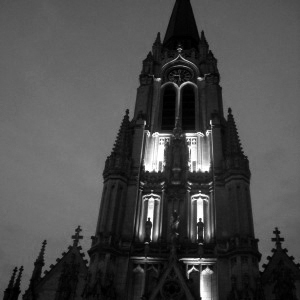 Amid all this power and brilliance, inner detail remained clear. London has a wealth of amateur orchestras and the West London Sinfonia is a very fine example. 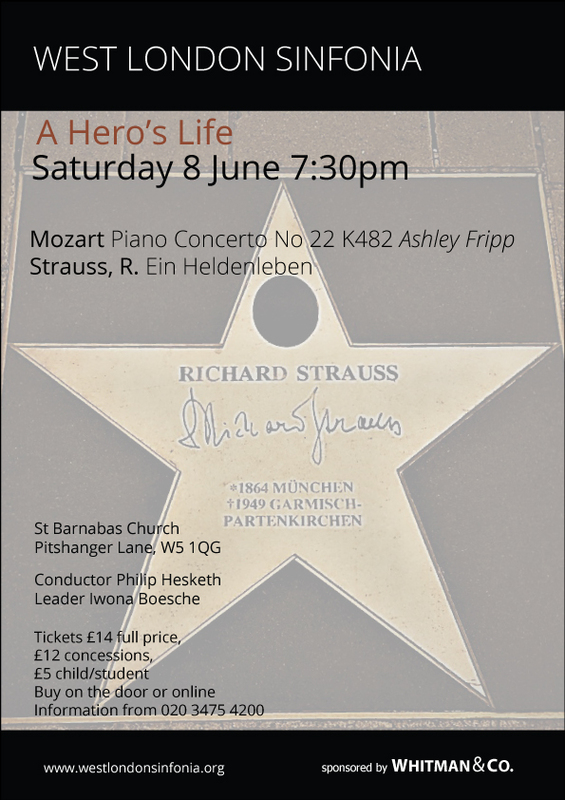 "I thought the St James's Piccadilly concert was superb - especially the Elgar, with that marvellous warm-toned soloist, and the orchestra wrapping her in such a wonderful sound."